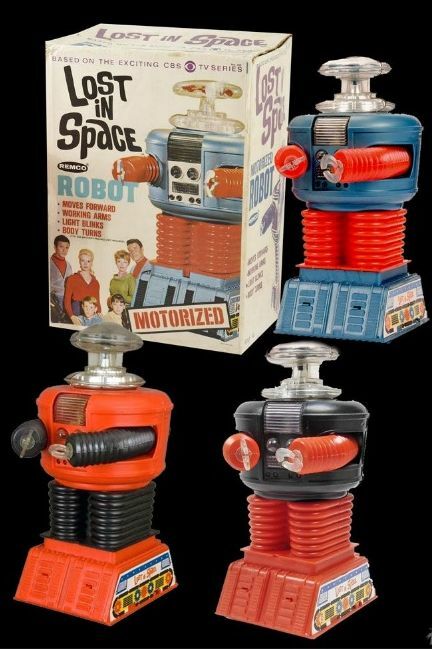 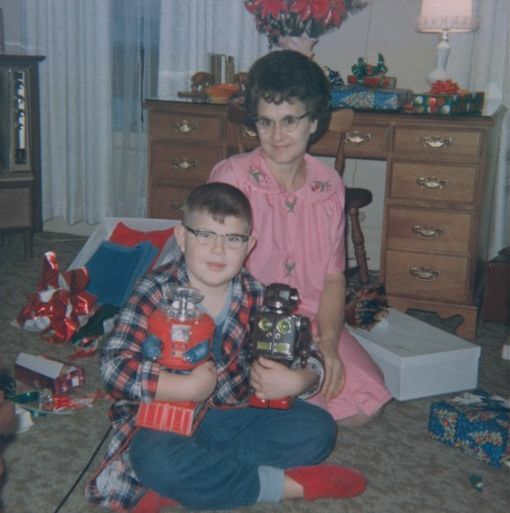 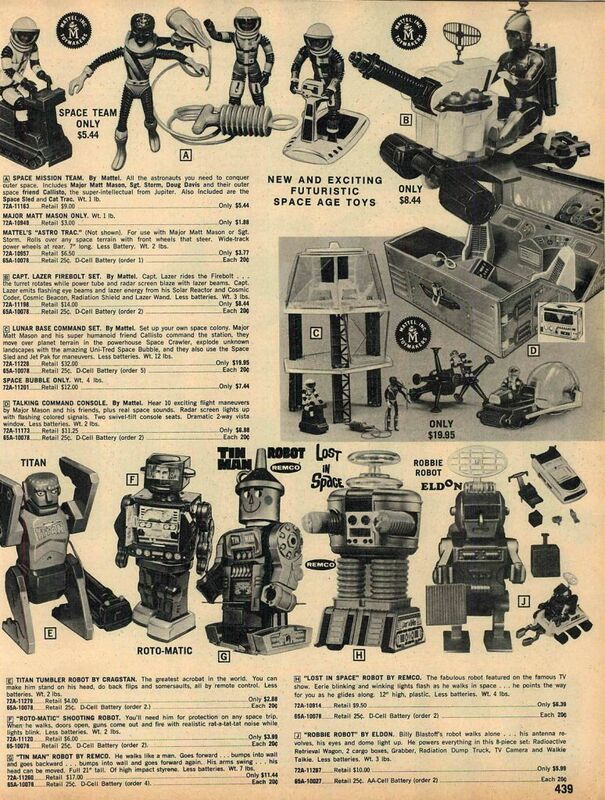 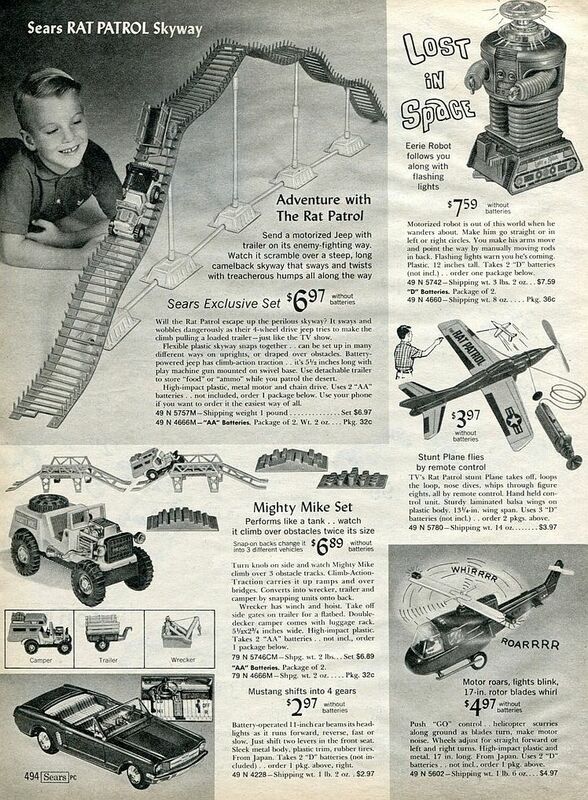 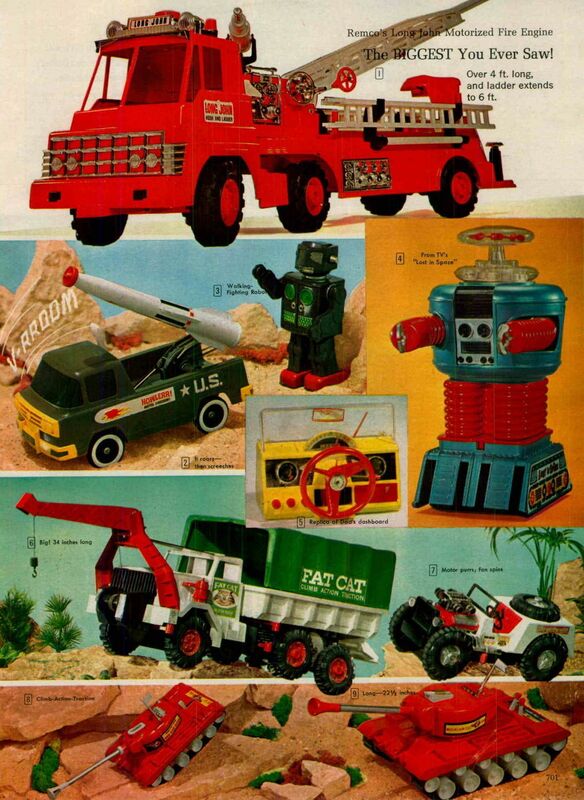 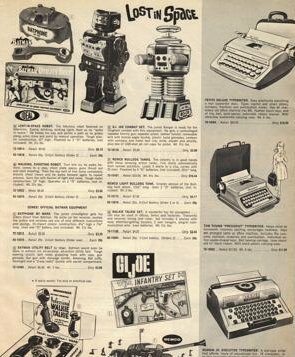 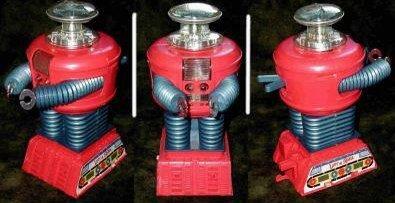 The many faces on this famous vintage robot toy issued by the Remco Company in 1966, and sold at Sears Department stores. 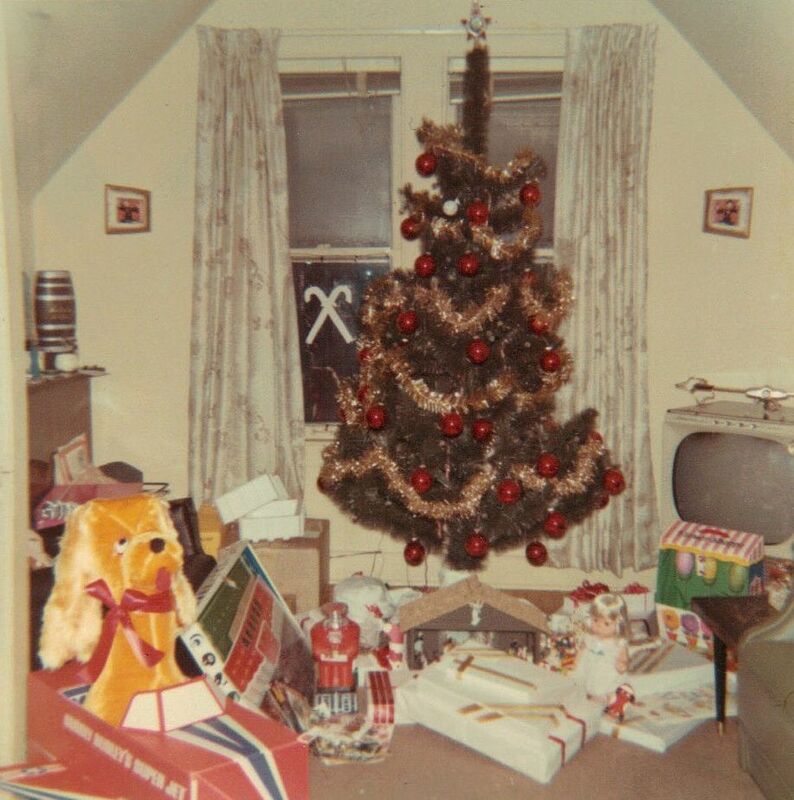 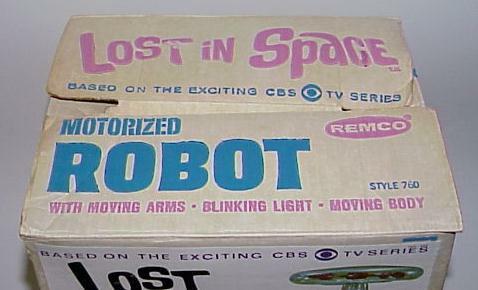 Many different color versions will be featured here. 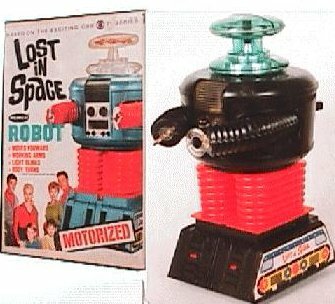 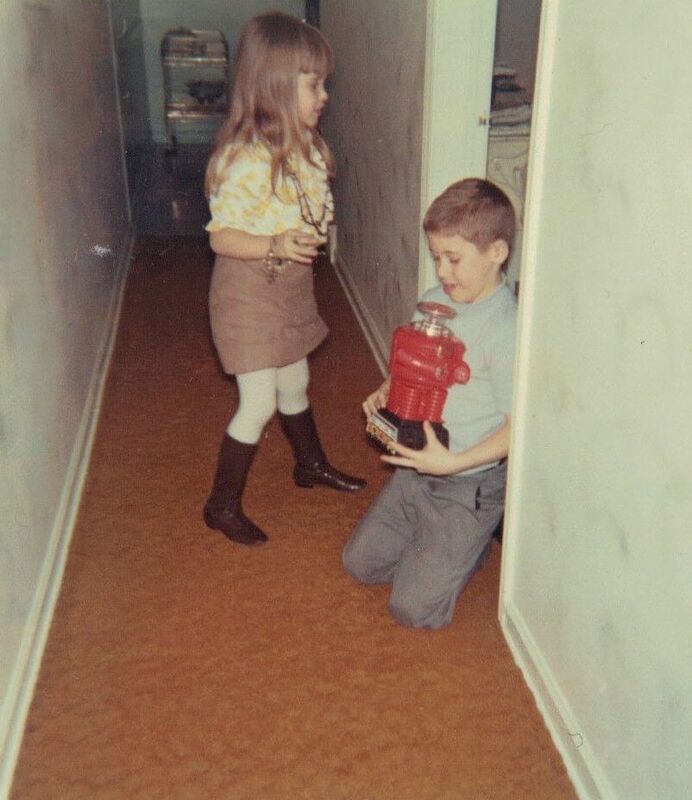 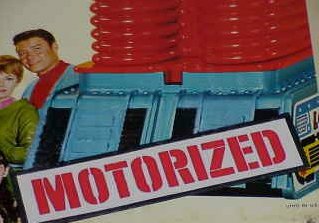 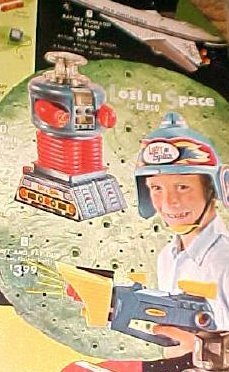 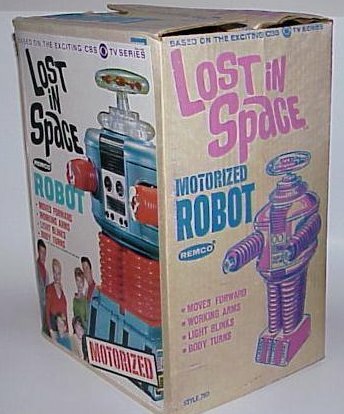 In the Lost in Space episode "The Mechanical Men" actor Billy Mumy was given the Remco leader robot after the episode was finish filming. 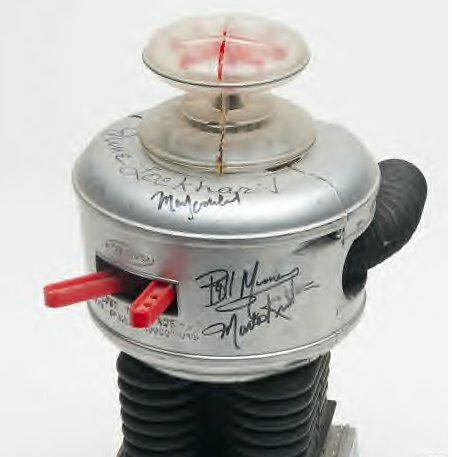 Bill own this prop for many years, and finally just gave it away "FREE" to a loyal fan. 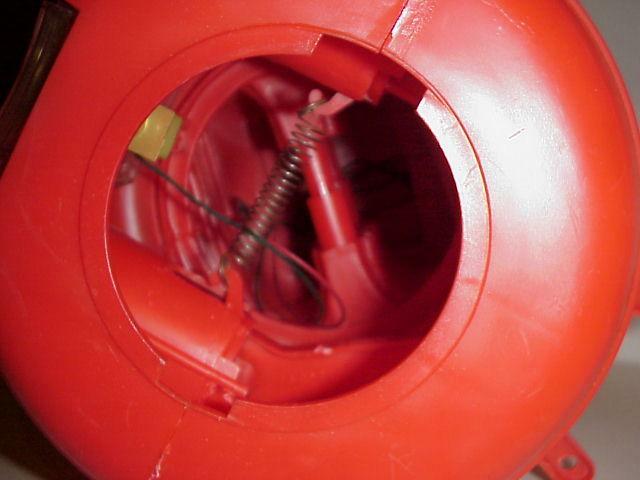 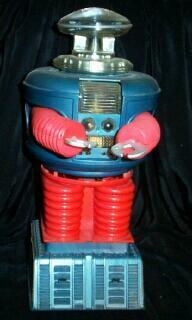 Believe it or not, there were three different color versions made for the Remco robot's claws. 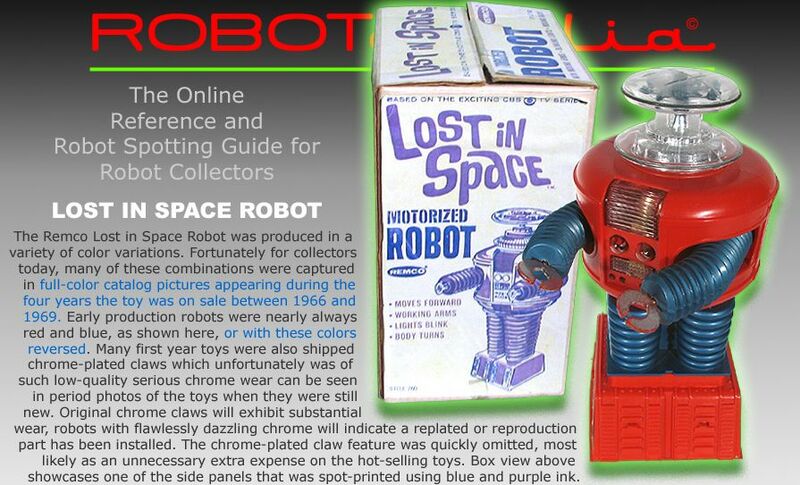 Colors made were clear plastic, silver (limited) and the very rare green combination! 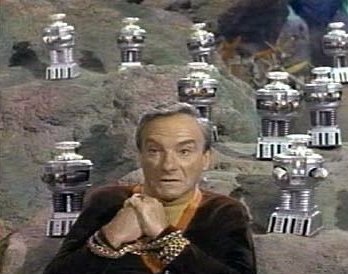 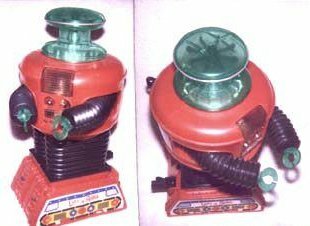 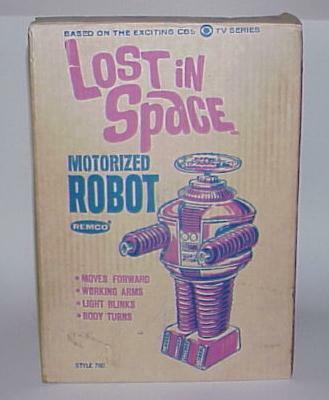 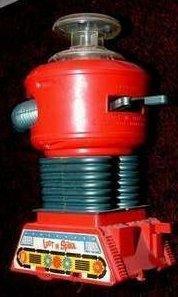 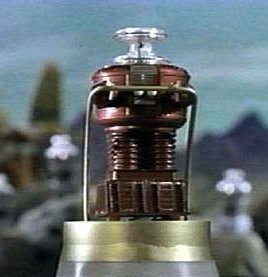 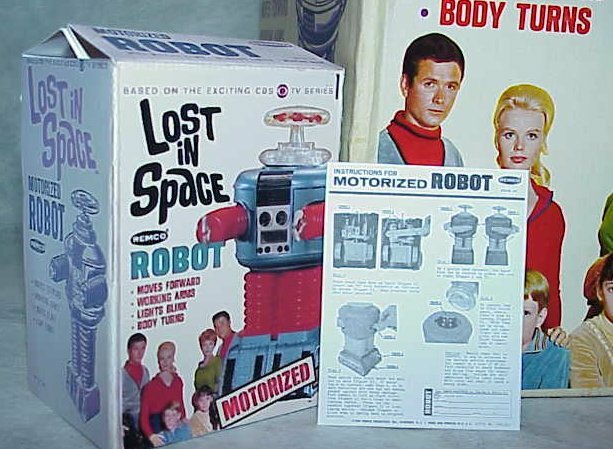 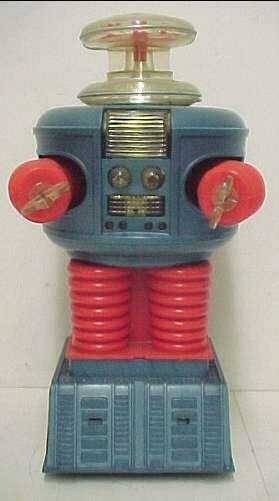 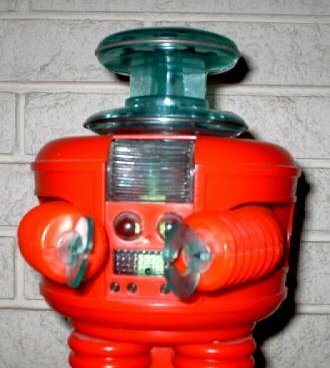 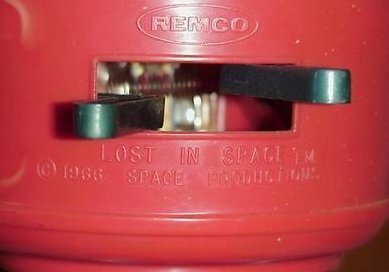 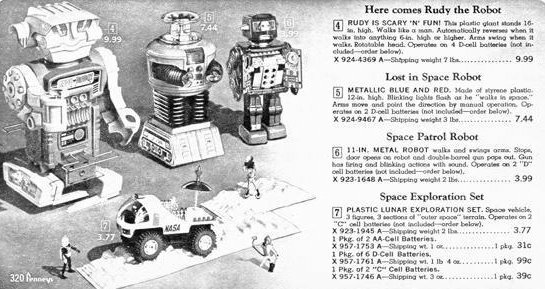 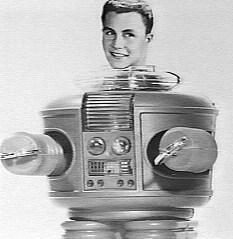 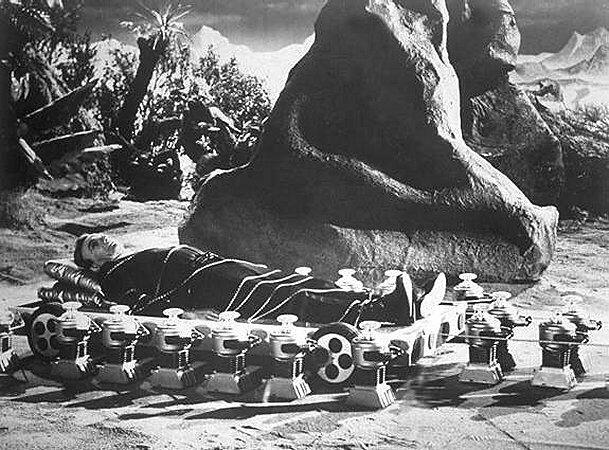 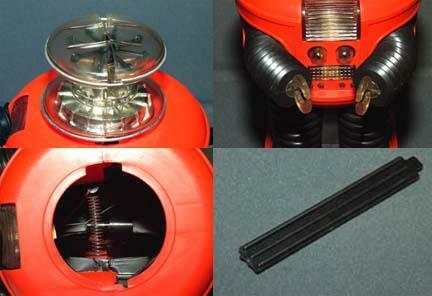 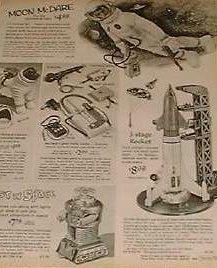 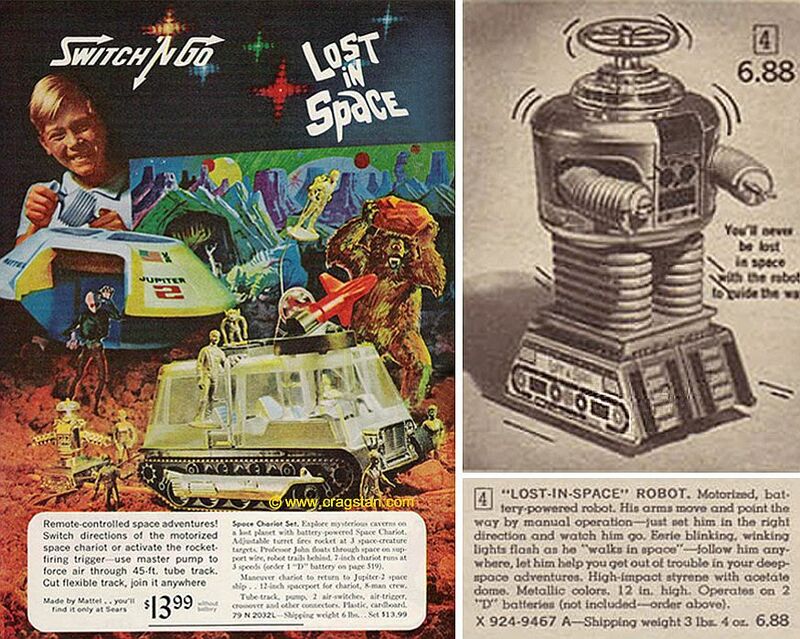 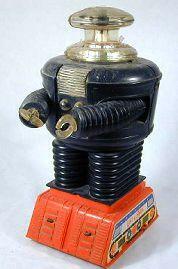 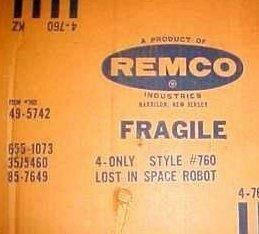 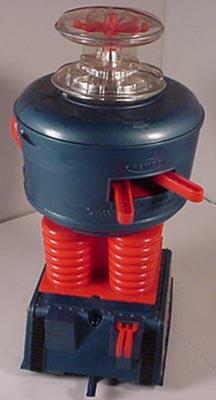 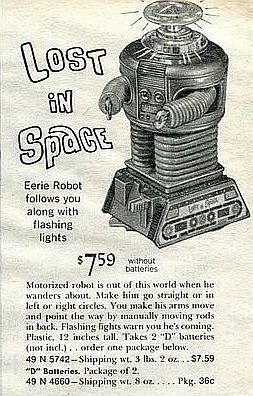 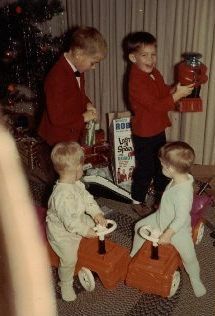 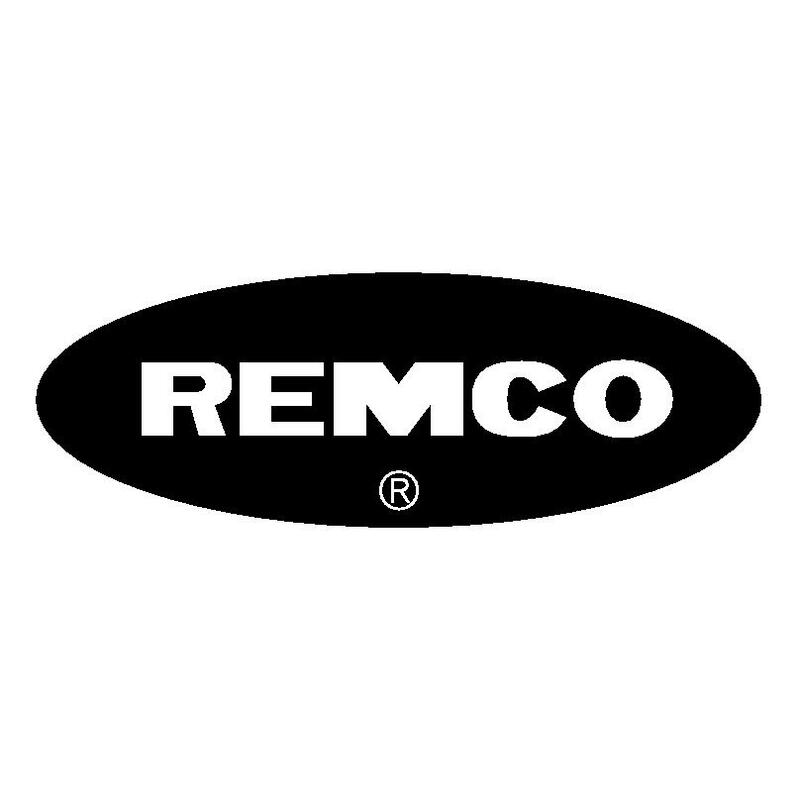 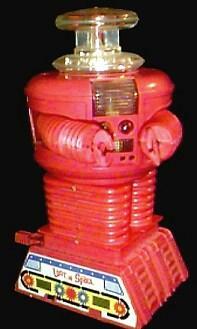 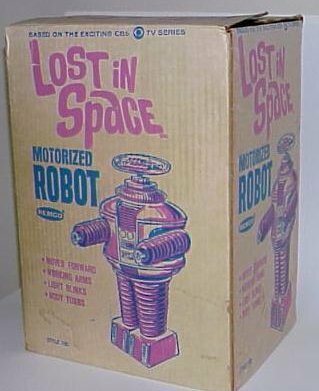 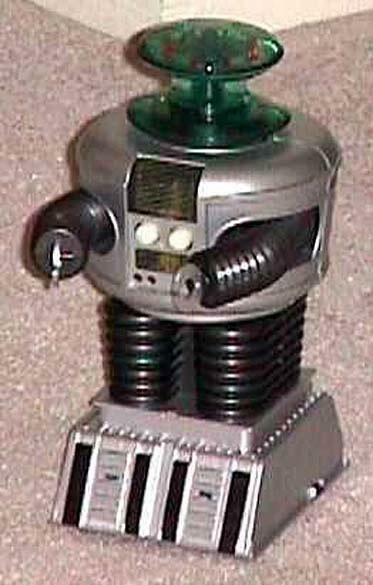 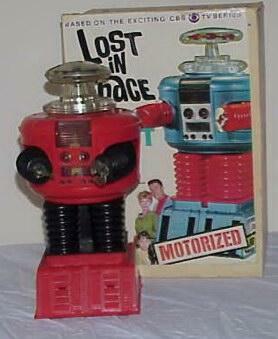 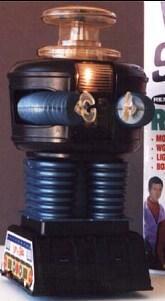 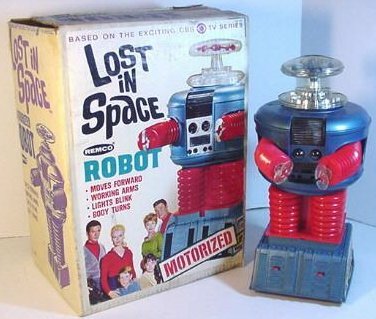 The Remco Robot appeared a few times in Lost in Space. 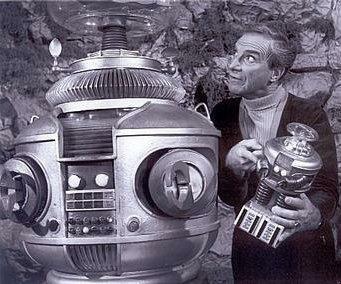 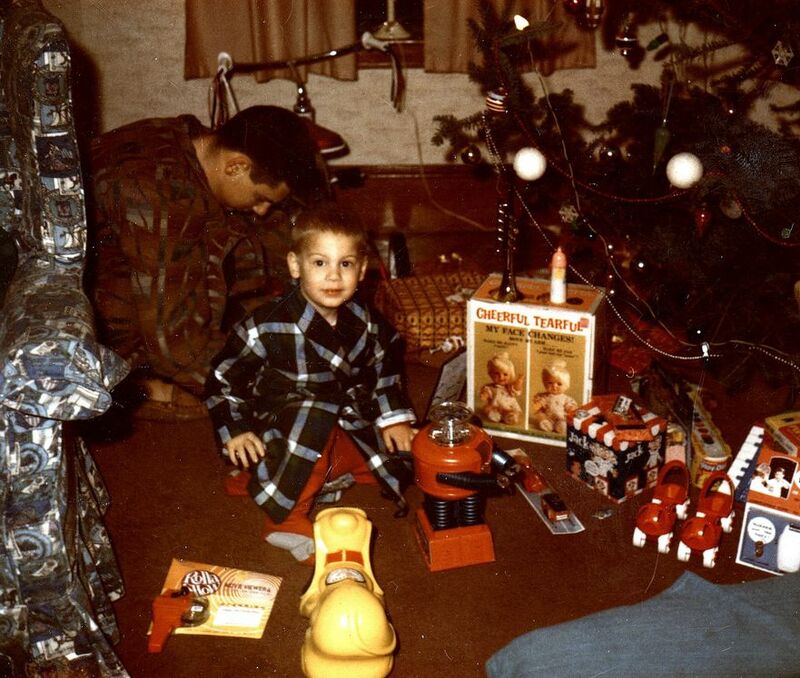 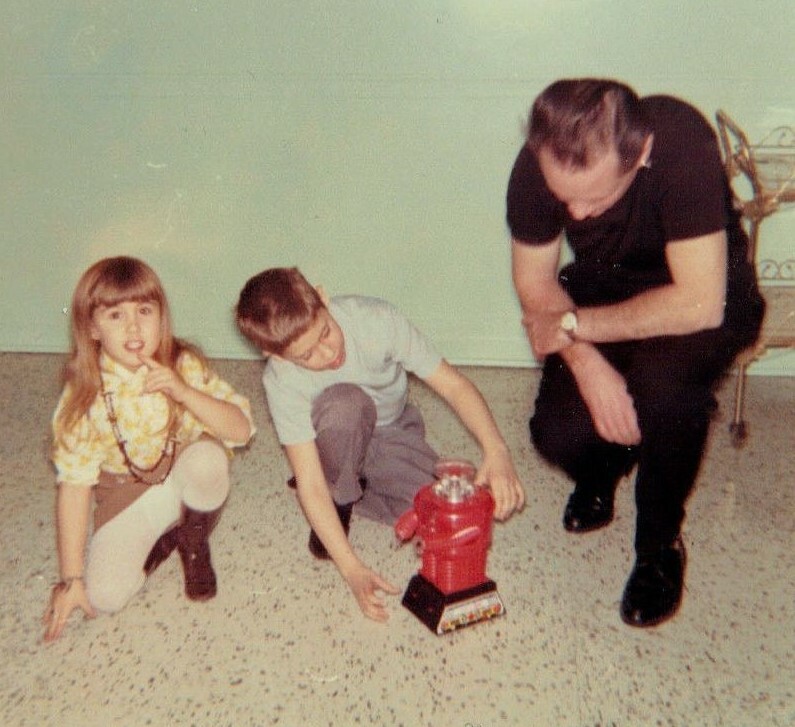 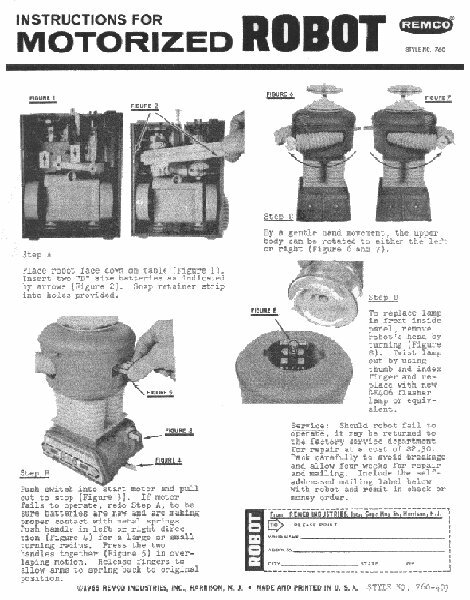 His most memorable, and first I might ad, was in the episode titled "The Mechanical Men." 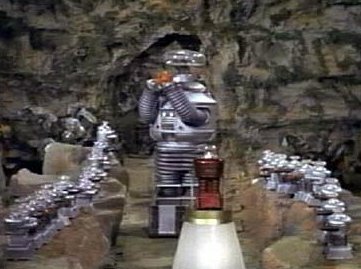 In that episode there were shades of "Gulliver's Travel." 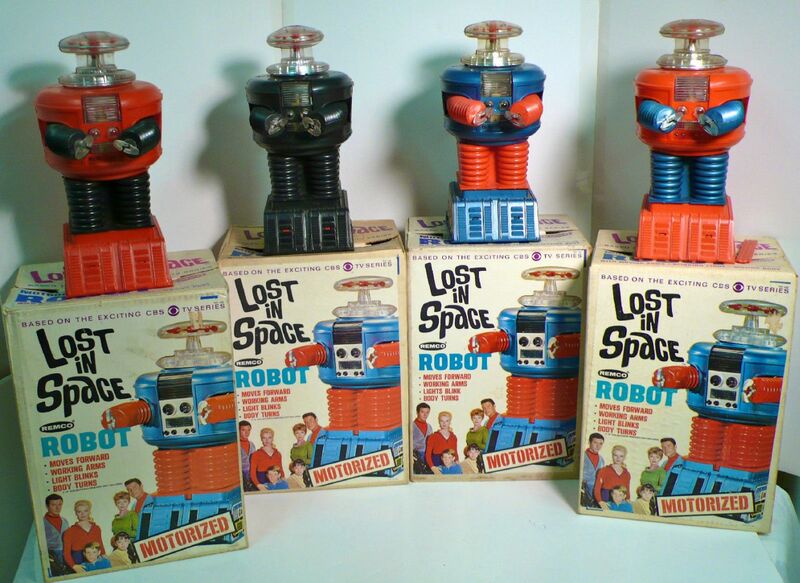 A bunch of little Robots encountering a much bigger version of themselves. 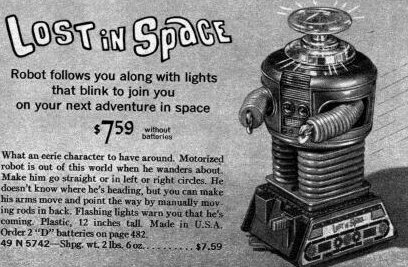 They were looking for a leader and picked the Robinson Robot. 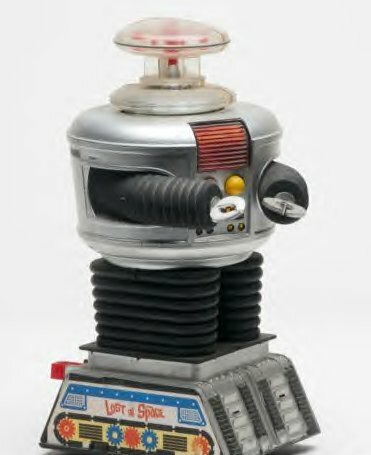 He unfortunately lacked the "bolts" to be a leader, so they transferred Dr. Smith's personality into the Robot, while giving Dr. Smith the Robot's. 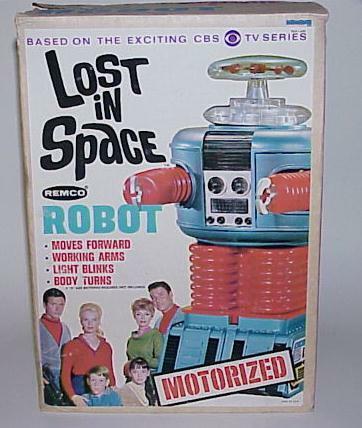 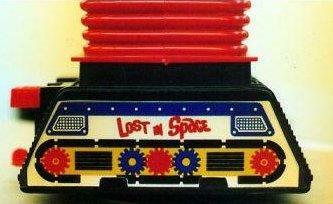 Typical Second Season Lost In Space, but a fun episode anyway, especially if you are a Remco Robot fan.